Since the dawn of mankind, humans have passed down traditions, songs, legends, folklore, family history, and more via the medium of storytelling. In modern day, transcribed oral histories have lent insight into some of the most important events of recorded time. Now, a method to preserve these tales for the ages has been made easy in app form. but I still bayoneted five of 'em before I passed out." -"Uh...Dad, weren't you born in Ecuador? In 1950?" Got a friend who never shuts up? Here's your chance to make them feel famous. Now, your tale can be told as well. Of, if you're boring, there's plenty of space for the interesting folks in your life to leave their audio impression. And all of it achievable by app! Funded by the 2015 TED prize (a million-dollar grant aiding “a leader with a fresh, bold vision for sparking global change”), the system is simple: ask good questions of someone intriguing, record them in a quiet location, and upload for immortalization. This was more succinct than the "Speak Your Piece" Corps. -Be attentive. 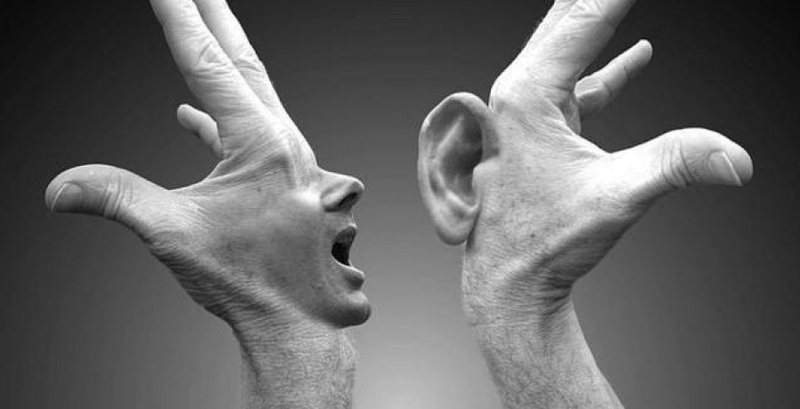 You have two ears and only one mouth...double down on active listening. -Keyword: ACTIVE listening. You're flying this chat-plane, make it soar. Although the speaker is the one with the fuel and wings, you both need to care for the engines and passengers. Pay attention, offer conversation cues, and maintain focus on your subject. -It's not the "story" that matters. This is a human being, and their experience is a truth. No need to mine for dirt or drama, just enjoy the expression. -SAY THANK YOU. Sharing isn't easy for everyone, and your appreciation is as important as your attention. So get those skills and stories down! On the app, users can create a profile of their own under which to file interviews, listen to other active users, and browse through the vast StoryCorps archive. Once uploaded, the stories become part of the American Folklife Center at the Library of Congress (yes, the real Library of Congress. So make sure you say something interesting.) The app is free, and operates on iOS or Android. What will your big questions be? What might you want to be asked? What might be your big answers? The whos, whats, whens, wheres, whys and hows of humanity are just waiting for you to pick them off the vine and distill them into something delicious. “We have this kind of crazy dream of collecting the wisdom of humanity,” Mr. Isay said. "Do you remember what you were thinking that time when I tied you to the train tracks?" "Well, I had just wondered...wait, what?"